1. Every so often, change the pace of your presentation. To understand what I mean, you only need to watch this opening number with Hugh Jackman and Neil Patrick Harris. The structure is pitch perfect (as were their voices) for a 21st century (tweeting/texting) audience. Sometimes slow, sometimes fast, these two gifted performers held your attention better than if they had done one song at the same tempo all the way through. 2. Use the silent pause. 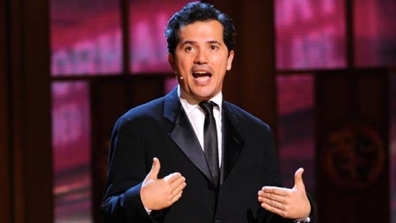 I would include a link to John Leguizamo’s performance, but I can’t seem to find one. He was charming, engaging, and hilarious. He puts the pause just where it belongs to get maximum return on investment. Sometimes the pause was to allow for audience laughter (don’t step on your own jokes), and sometimes the pause was meant to let the words sink in and hit their mark. Other than putting his hands in his pockets, he put on a public speaking clinic. 3. Use your whole body to full effect. Granted, when you are on stage in front of a few thousand people, you are more inclined to enhance your gestures, but even if you are in Ballroom B at the Howard Johnson’s Motel at 1:30 in the afternoon, your non-verbal communication can do wonders to keep the attention of your audience. Don’t stand in one spot for more than a few minutes. Use the full height and width of your gesture ‘box’ – that square space from the top of your head to your hips. Keep your hands in view at your beltline when not gesturing and every so often, close the distance between you and your audience. 4. Never admit to your audience that you didn’t prepare. The actress who won for best musical confessed that she thought the idea of winning was so far-fetched that she didn’t prepare any remarks. Bad strategy. If your goal is to appear self-effacing or humble, you can still pull that off by saying “I am so surprised that I am at a loss for words” or something similar. Your audience will get the point. If there is even a slight chance that you will be asked to speak, have something ready to go, just in case. Who knows, it could be your moment to shine and there you are with a deer-in-the-headlights look. Posted in Body Language, Gestures, Speech Delivery, Speech Evaluation, Verbal Skills, Vocal Skills and tagged Hugh Jackman, Neil Patrick Harris, Tony Awards. Bookmark the permalink.